The Pittsburgh Steelers will carry on for the next few years with Mike Tomlin as their head coach, signing a contract extension that will keep him on the team through the 2018 season. Tomlin signed a two-year extension worth at least $14 million, making him one of the top 5 highest paid coaches in the NFL, although the exact financial details of the deal weren’t disclosed. Tomlin has been the head coach of the Steelers since 2007, posting a 82-46 record in the regular season and 5-4 in the playoffs, including winning the Super Bowl in 2008 (beating the Cardinals in an excellent game) and guiding the Steelers to the postseason five times, including last year. However, the Steelers have lost the first two games in the playoffs under Tomlin the last couple of times they were there (2014, 2011), still waiting for their first postseason win since 2010, when they made the Super Bowl for a second time under his guidance only to lose against the Green Bay Packers. 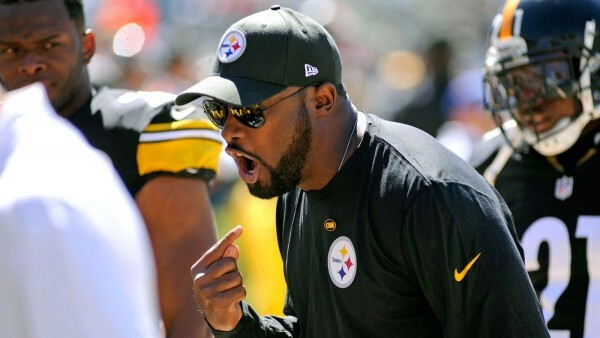 Bill Belichick, Marvin Lewis, Tom Coughlin, Mike McCarthy and Sean Payton are the only head coaches who have been with their current NFL teams longer than Tomlin. Tomlin is only the third Steelers head coach since 1969, following in the footsteps of Chuck Noll and Bill Cowher. Tomlin was a defensive backs coach at Tampa Bay from 2001 to 2005 before becoming the Minnesota Vikings defensive coordinator in 2006, his last job before replacing Cowher in Pittsburgh.